When I host a party I like to have as much done in advance as possible. This allows me extra time for visiting with my guests. I found this timesaver online and loved it. A couple of weeks ago I hosted my son’s second birthday with over 25 people. That is a lot of ice cream to scoop while people are anxiously waiting for desert. To cut down on that wait I prepped my ice cream scoops in advance. The day before the party I removed the ice cream from the freezer and allowed it to soften for a few minutes before scooping. Working with softened ice cream made scooping a breeze and saved some wear and tear on my wrists. 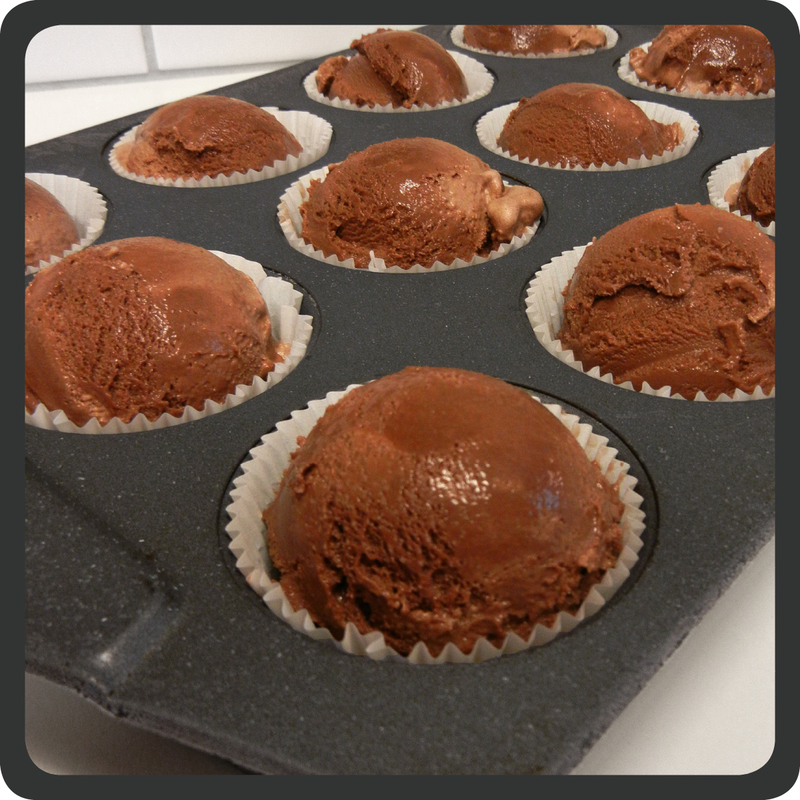 I lined my muffin pan with paper cups and scooped the ice cream directly into the cups getting perfectly formed scoops. I then put the entire muffin pan in the freezer so that the scooped ice cream could harden back up over night. With this time saver, serving desert at the party was such a breeze! This was not only convenient and easy, but it was also a nice presentation for a simple scoop of ice cream. Nowadays you can find muffin cups in so many colors or fun prints that you can really have fun with this and get something to match your color scheme or theme.